According to the announcement of ESO, the upcoming Morrowind in The Elder Scrolls Online is different from the events of The Elder Scrolls III. Recently, ESO post an article to explain the differences between the old Vvardenfell and the new one. Although some characters and locations may seem familiar, there are many differences between the First Era and the Second Era which happens around 700 years prior to the events of The Elder Scrolls III. Some parts of the island will appear to be very familiar to you if you played TES III, including Red Mountain, but you won't find the red winds of the Ash Storms or the Ghost Fence blocking your path in ESO: Morrowind. Nor will you find some of the monstrous creatures created by Dagoth Ur, such as Ash Vampires or Ascended Sleepers. At this period in time, much of the corruption that you saw and experienced in TES III is yet to occur, meaning some areas, while familiar (such as the Ashlands), might take on a new kind of beauty. This also means that the Ash Blight hasn't yet exterminated some of the island's more unique creatures, and you can now find Cliff Striders, Nix Oxen, and Vvardvarks in the wild. In ESO: Morrowind, Vivec City is still under construction, but much of it should still be familiar to you, even if the northern cantons (such as the Foreign Quarter) are yet to be completed. Just as you are able to in TES III, you can visit Lord Vivec's Palace and see the meteor, Baar Dau, held suspended above the city by Vivec's will. Because much of Vivec City is yet to be constructed, there's an adjacent construction village in ESO: Morrowind that serves as a crafting hub both for you and for the city itself. Aside from Vvardenfell's largest city, there are numerous townships in TES III that are yet to be founded in ESO: Morrowind, including Maar Gan, Ald'ruhn (at this point an Ashlander camp), and Imperial locations and towns such as Caldera, Pelagiad, and Moonmoth Legion Fort. The southern village of Seyda Neen can be found in ESO: Morrowind, but the Imperial Legion does not have a presence there, and you might notice that Tel Vos, the tower located in the eastern township of Vos, is yet to be constructed. The political situation in the island of Vvardenfell is always changing, and the Second Era is no exception to this. 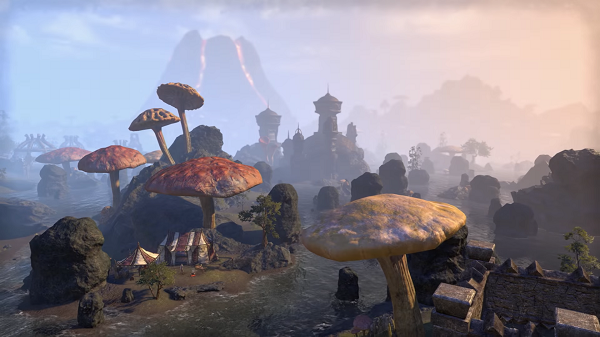 In ESO: Morrowind, Vvardenfell is dominated by two Great Houses: Redoran and Telvanni. At this point, Hlaalu is only beginning their ascent, but do not have the kind of power that they do during the events of TES III. When you enter Vvardenfell in ESO: Morrowind, House Redoran and House Hlaalu administer the south and western regions of the island, and both are members of the Ebonheart Pact. The east of Vvardenfell, however, is firmly under the control of House Telvanni. It's worth noting that because they are not members of the Pact, the Telvanni still practice slavery (primarily of the Argonians and Khajiit), exacerbating tensions between Morrowind and the rest of the Pact. Finally, at this point in Tamriel's history, the Empire had not yet come to control parts of Vvardenfell as they have in TES III, meaning that while you might meet the occasional Imperial in your journeys, their presence on the island is nowhere near as strong as it is in the Third Era (the Septim Dynasty has not yet begun). 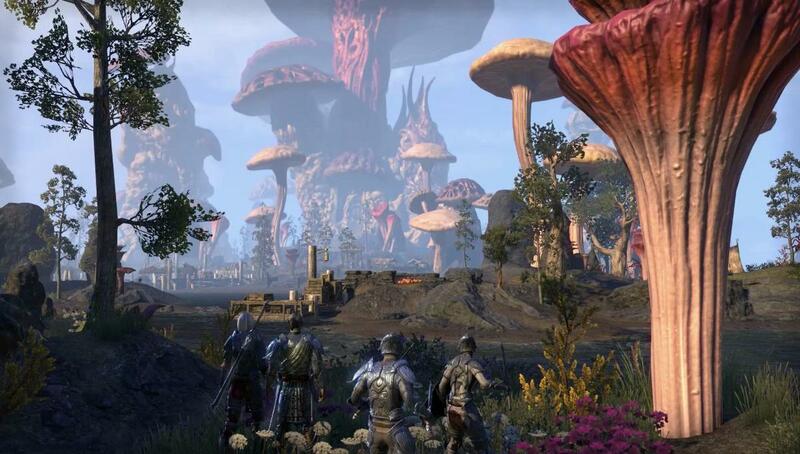 To discover more details about Vvardenfell island in ESO: Morrowind, head on over to eso-gold.com where offer cheap eso gold for sale.